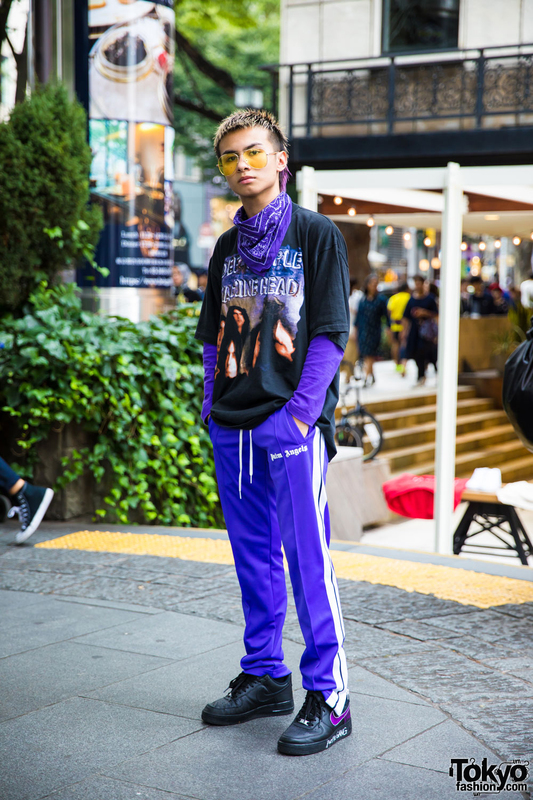 Harajuku student in purple and black streetstyle with band t-shirt, Palm Angels sweatshirt, track pants, custom sneakers, aviator sunglasses, neckerchief and rings. Harajuku guy in Misfits t-shirt, ripped jeans, backpack and oxfords. 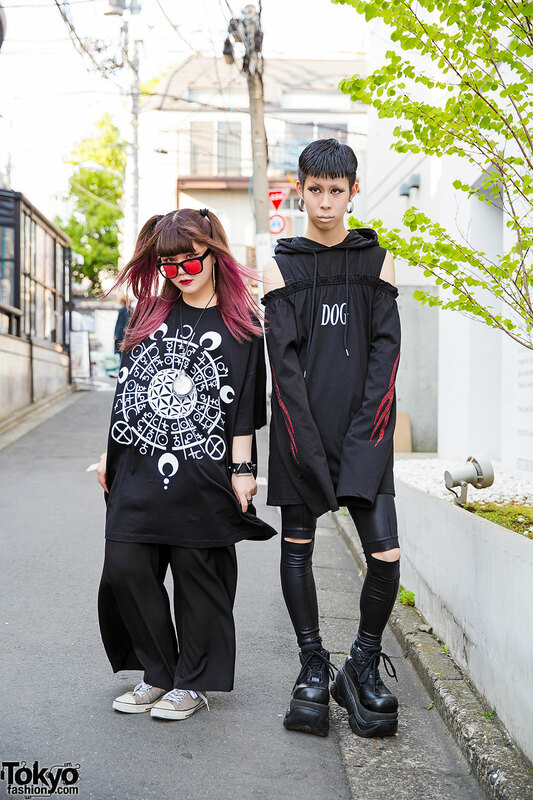 Harajuku guy in bare shoulders hoodie, leggings, platform shoes and jewelry vs. Harajuku girl with twin tails, oversized t-shirt and pants. Harajuku girl with beret, black maxi dress, animal print coat, leather backpack, fishnet stockings and faux fur sliders. 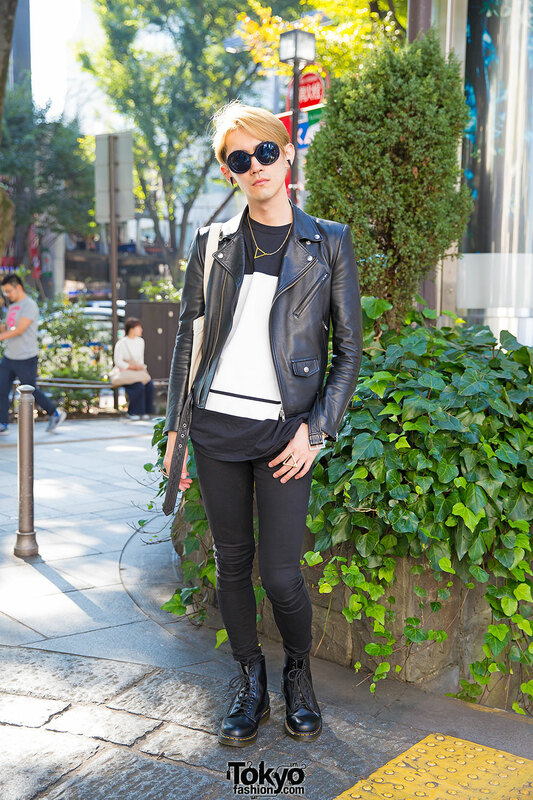 Harajuku guy in sunglasses wearing a t-shirt, biker jacket, skinny jeans, cat tote bag, geometric jewelry and lace-up boots. Harajuku girl with twin tails wearing a black top with a zipper skirt, over the knee socks with studded shoes, a shoulder bag, choker and cuffs. Harajuku girl with black shirt, top, clutch and sneakers with denim shorts, bangs and gold chain necklace. 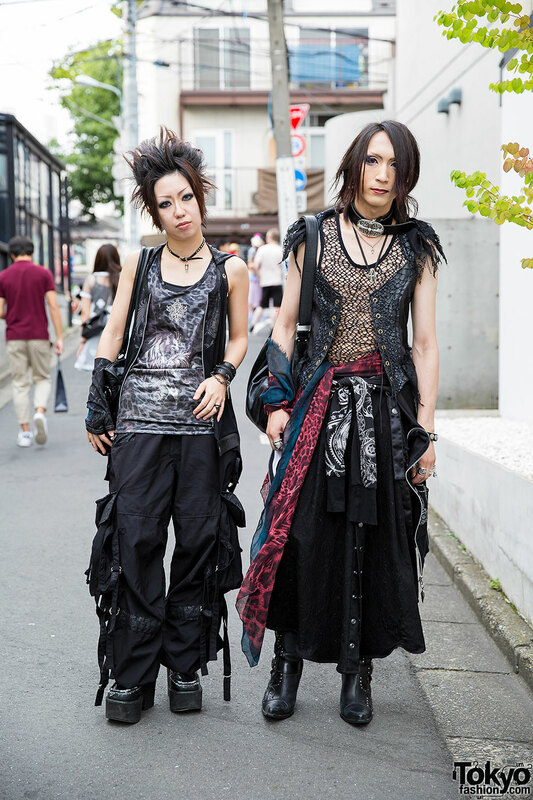 Visual kei-loving Harajuku guy with mesh tank, corset and maxi skirt vs. Harajuku girl in dark style with animal print tank, vest and pants. 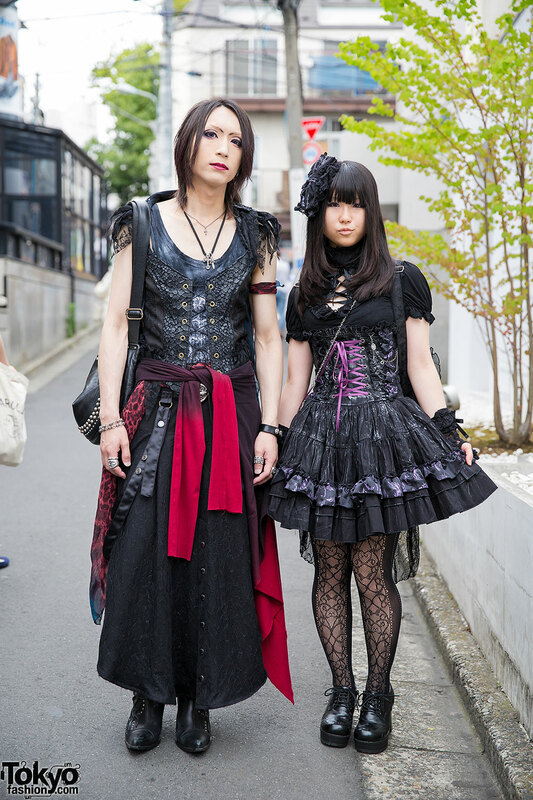 Harajuku guy in corset, maxi skirt, studded bag, silver jewelry and pointy cowboy boots with Harajuku girl in corset dress, bow headdress, arm covers, muffler and heeled oxfords. Harajuku guy in black top, blazer, pants, backpack and white sneakers with Harajuku girl in pink coat, printed top, shorts, hair bow, tote bag and heart creepers.